X-Ray Llamas will let you see what's inside them before making a purchase. 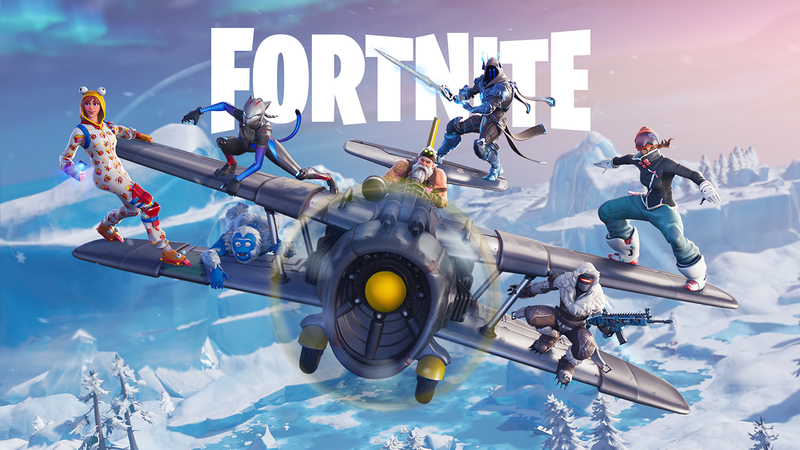 Big changes are coming to the way loot boxes work in Fortnite: Save the World, Fortnite’s premium game mode that’s available to purchase on PlayStation 4, Xbox One, and PC. In the game’s next update, which we expect to be released this week, X-Ray Llamas will be introduced, which will allow players to see what’s inside them before they’re purchased. These X-Ray Llamas were previously called V-Bucks Llamas. They’ll be available to purchase with -- you guessed it -- V-Bucks, the game’s premium currency, and they’ll include a variety of in-game items. X-Ray Llamas will cost the same as the old V-Bucks Llamas, and players will still be able to earn llamas for free by simply playing the game. The cool thing here, though, is that this change removes the desire to purchase a llama “just in case” something cool is inside. 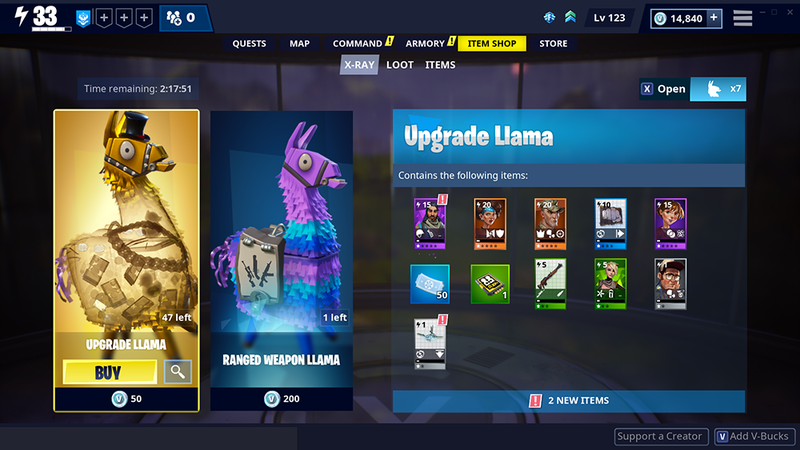 Instead, you can see what the llama contains before making a purchase, so you can make an informed decision about whether or not to spend money. If you don’t like what’s inside the current X-Ray Llama, wait until the game’s daily store refreshes and you’ll have a new selection of items to browse. Once this update launches, every existing Save the World player will be given five free Llama Upgrade Tokens that they can use to test these changes. Parents, this is an exciting update, to be sure. But remember, players aren’t required to purchase llamas at all. While Save the World is a premium mode that costs $39.99 to own, these llamas are simply extras that are available to players who want to make the additional investment. Head to Fortnite’s website to learn more about X-Ray Llamas.